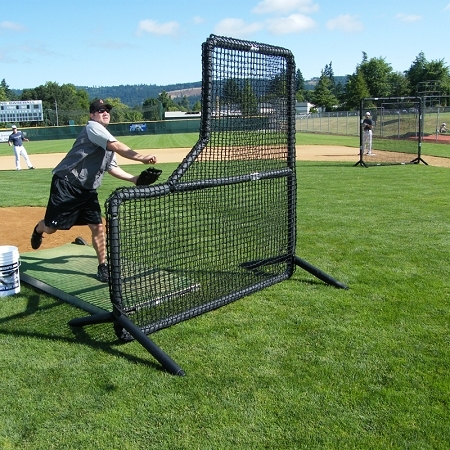 Made especially for baseball training facilities, high school, college and professional teams, there simply is no better made L-Screen than the JUGS Protector Series L-Shaped Screen. Featuring an unprecedented 2 Year Warranty on both the frame and the net, it is no wonder why it is the best selling L-screen in baseball! 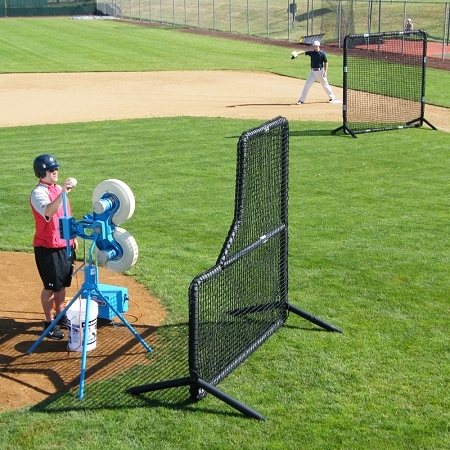 Used for protecting pitchers and pitching machines, balls can be thrown from behind the L-screen without fear of being hit by a batted ball. It features 1.5 inch diameter, 2 mm thick cold-rolled steel frame tubing and super tough black, double-thick, 691-90 ply poly-E netting. The entire frame is also protected by black, vinyl covered, half inch thick pearl foam. Easily assembled, all joints on the JUGS Protector Series L-Shaped Screen are double-bolted for maximum strength and superior longevity. Great directions. Great quality. Can't be more happy with this! 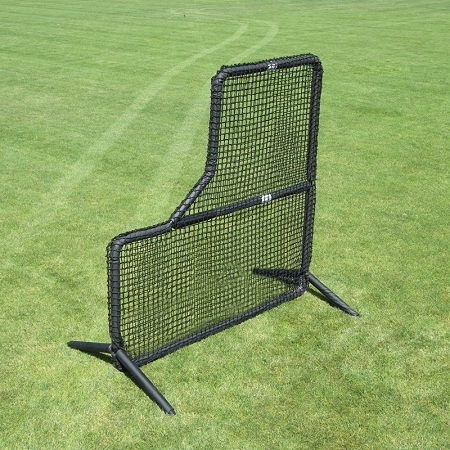 This JUGS Protector Series L-Shaped Screen features a 2 year warranty on the frame and netting. JUGS Sports will repair or replace such damaged part, free of charge F.O.B. to its factory in Tualatin, Oregon; provided, however, that upon request, the Buyer shall return the allegedly defective part to the Company s factory with transportation charges thereon prepaid. No matter where you order a JUGS Protector Series L-Screen from, NOBODY actually stocks them; they all ship directly from the manufacturer's warehouse located in Tualatin, Oregon. Therefore, the shipping time frame is exactly the same no matter what website you order from (we hope that it is this one!). JUGS Protector Series L-Shaped Screens typically take 2-4 business days to ship from the time you place your order. They ship via Federal Express (FedEx) Ground and could take anywhere from a day or two to a week to get to you AFTER being shipped, depending on your proximity to their warehouse. We will notify you of your tracking number the moment we receive it from the manufacturer's warehouse. Click here to download an easy to read, printable PDF of the JUGS Protector Series L-Shaped Pitchers Screen Manual.